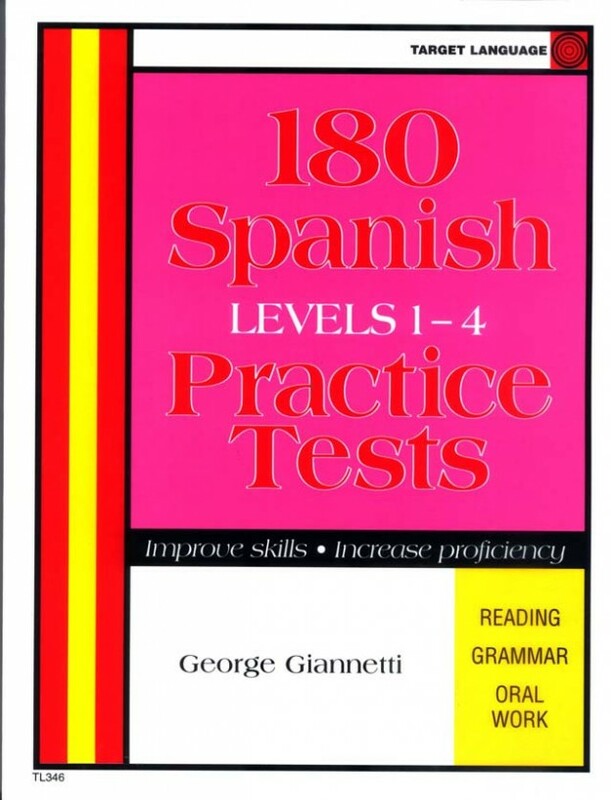 180 Spanish Practice tests (By George Gianetti)Improve skills, increase proficiency, use these tests as inventory tools to help students discover their weaknesses. The tests include listening comprehension, reading comprehension (mostly brief to medium length cultural readings), grammar (from articles, pronouns, idioms, verbs and more). Truly a practical hands-on style of testing beginning to advanced levels. Each test will take 3 to 15 minutes to complete depending on the length and complexity. These Practice Tests will relieve some of the teacher's workload because they require zero preparation. Answer sheets provided. Softbound, 154 pages.